And for our next trick…..
We receive some very strange donated items here in Strachur. 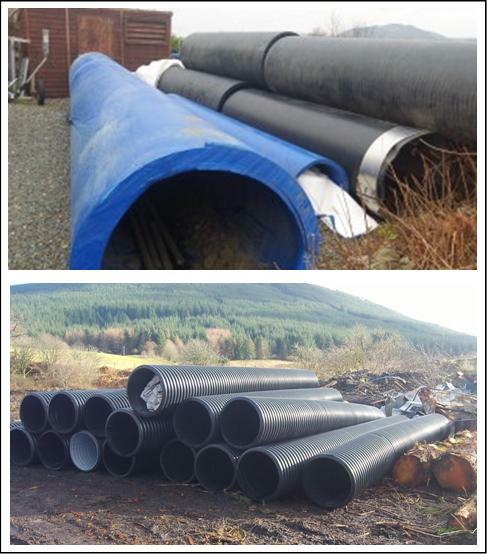 Recently a quantity of pipes were delivered to be shipped out to Malawi. These will be used in the construction of several bridges one of which will be at Zenda near Rhumphi – a remote village that a Rotary group have helped in the past. As part of John’s visit later in the year he will work with the local community to construct the bridge which will provide a safe road linking communities with the local school etc. No excuses now!